Anita Baker returns to the road for one last time! The Grammy award-winning singer-songwriter has decided to retire from her legendary singing career after three decades. Baker came to the scene in the mid 80s and instantly gifted us with her cool, low register hits like 'Angel', 'Sweet Love', and 'Rapture' and everybody instantly fell in love. 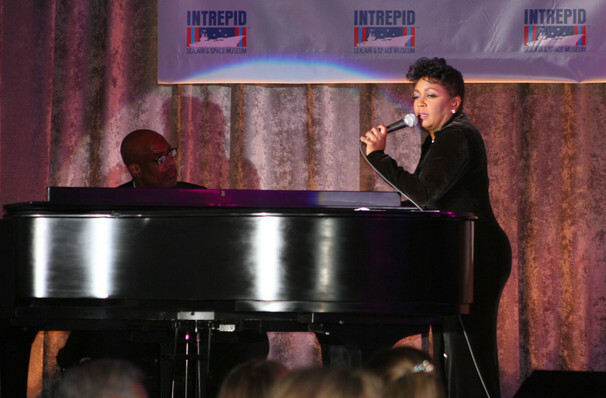 Bagging several Grammy awards throughout her career, her unique voice has remained an influence in contemporary soul music. She also garnered herself four No.1 Top R&B/Hip Hop albums including 'Giving You The Best I Got', 'Rhythm Of Love', and the platinum selling 'Rapture'. Make sure you don't miss the iconic Anita Baker on her farewell tour when she comes to a city near you. Sound good to you? 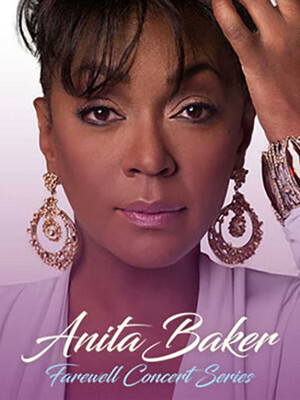 Share this page on social media and let your friends know about Anita Baker at Venetian Theatre. Please note: The term Venetian Theatre and/or Anita Baker as well as all associated graphics, logos, and/or other trademarks, tradenames or copyrights are the property of the Venetian Theatre and/or Anita Baker and are used herein for factual descriptive purposes only. We are in no way associated with or authorized by the Venetian Theatre and/or Anita Baker and neither that entity nor any of its affiliates have licensed or endorsed us to sell tickets, goods and or services in conjunction with their events.